Bright, broken-in sanding and whiskers profile the slim leg of dark indigo-wash stretch-denim jeans finished with gentle distressing for an edgy finish. Color(s): regret. Brand: HUDSON. 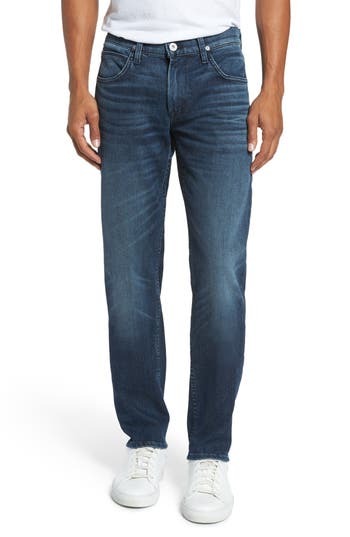 Style Name: Hudson Jeans Blake Slim Fit Jeans (Regret). Style Number: 5438565. Available in stores.